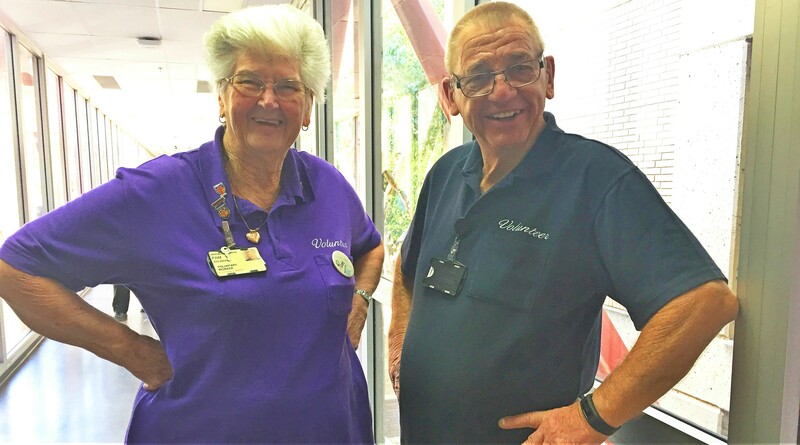 Westmead Hospital volunteers Pam Bauman and Ben Westerbrink model the “new” uniforms. Over time the number of volunteers has expanded and so has the diversity and nature of their roles – and now, their uniform is changing too. Westmead and Auburn Hospital’s corporate services director Mathivanan Sakthivel acknowledges that Westmead Hospital has a unique, committed and dedicated volunteer work force who cares about their community, patients and fellow staff. “These 80 men and women are passionate about giving back and helping patients and departments within the hospital,” Mathi said. Mathi said the volunteers recently agreed they needed a change of uniform to reflect their unique roles and enhance their presence at the hospital. “The change of the colour and style of the uniform helps people identify them as volunteers and unites them as a team who are proud to work at Westmead,” Mathi said. Next year, two volunteers at Westmead Hospital celebrate 40 years of service to the hospital – Pam Bauman and Jan Ananajew. The Pulse caught up with Pam, who tells us how volunteering has evolved and her passion for the hospital and her community. “My mother influenced me to join the volunteers at the hospital,” Pam said. “When the hospital first opened she was one of a few who played an ‘actor’ with a medical condition to help prepare the staff for when the patients arrived. “I volunteered as an actor for the dental unit, having a wisdom tooth pulled out. At this time, the dental building was soon to open, so I enjoyed helping the staff practice their roles preparing for real patients. “39 years later and I’m still here! “I volunteer for two days a week at the hospital in the neonatal intensive care unit where I help feed tiny babies and give them cuddles as well as help with the washing and ironing and talk to the mums. “When I first started volunteering at the hospital I was in the orthopaedic ward and children’s ward – washing patients hair and look after the children while their mother’s ran errands. “I enjoyed helping at Westmead so much when my husband lost his job many years ago, I found paid employment and remained volunteering on my flex days. “Years later my husband had a heart attack so I decided then I want volunteer at Westmead because the staff saved his life. “I’ll never forget the day he had his attack – it was a Sunday and we had the right doctors and nurses on that day! If you are interested in volunteering at Westmead Hospital, send an email to WSLHD-WSTM-VOL@health.nsw.gov.au or 8890-9046.